Gigi Hadid and Zayn Malik make red carpet debut at Met Gala | HELLO! It was one of the biggest celebrity turnouts of the year, with the world’s most famous faces stepping out for the Met Gala 2016. But it was all eyes firmly on Gigi Hadid and Zayn Malik as they arrived at the New York bash. Making their red carpet debut together, the couple far from disappointed with their looks. Gigi wore a gunmetal grey chiffon dress by Tommy Hilfiger, while Zayn rocked a futuristic suit that featured armoured sleeves from Versace. Gigi and Zayn looked every inch the loved-up couple as they posed up a storm together on the red carpet. They weren’t the only couple to hit the famous Met Gala. Rosie Huntington-Whiteley was in attendance with her fiancé Jason Statham after getting engaged earlier this year. Bella Hadid, meanwhile, looked flawless on the arm of her boyfriend The Weeknd. And, of course, we can’t forget Kimye. Kim Kardashian and Kanye West made for quite the futuristic couple as they hit the red carpet. 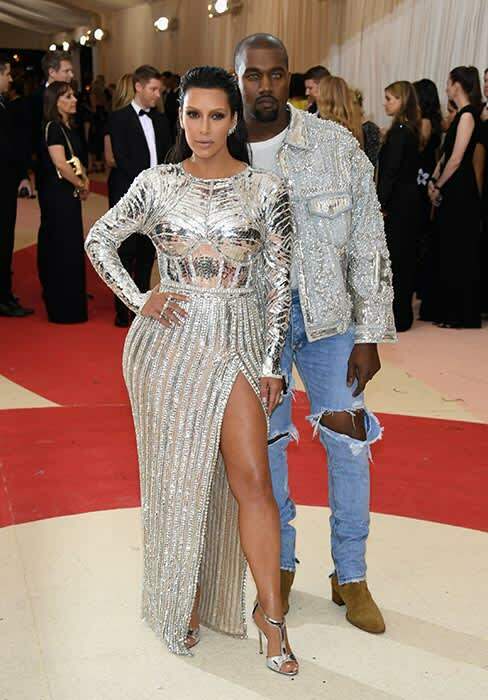 Kim was rocking a metallic, glamorous robot-inspired dress by Balmain, while Kanye wore an embellished denim jacket and bright blue contacts. Katy Perry and Orlando Bloom were thought to be making their red carpet debut as a couple at the Met Gala. But while they didn’t turn up together, they were both in attendance.